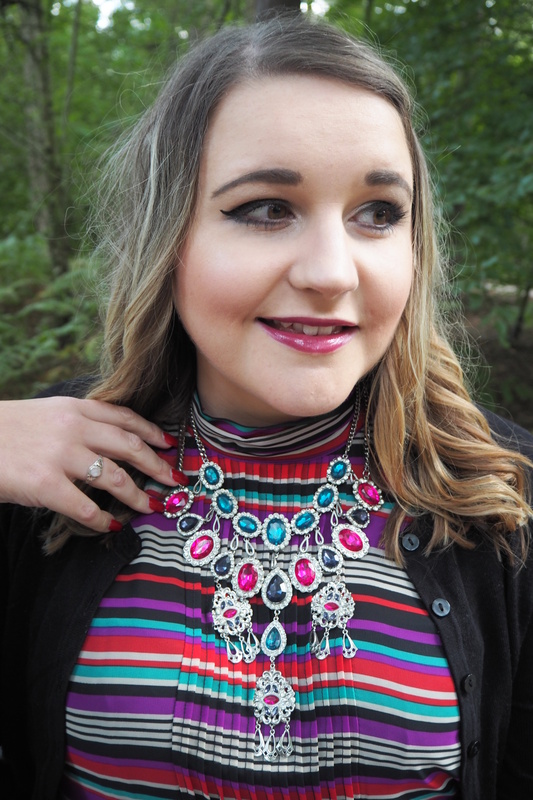 So I have just been to Center Parcs for the weekend to celebrate my Aunties 60th Birthday and I have included a look book below for the different outfits I wore. It was such a lovely sunny weekend but pretty cold, so jumpers were a must! 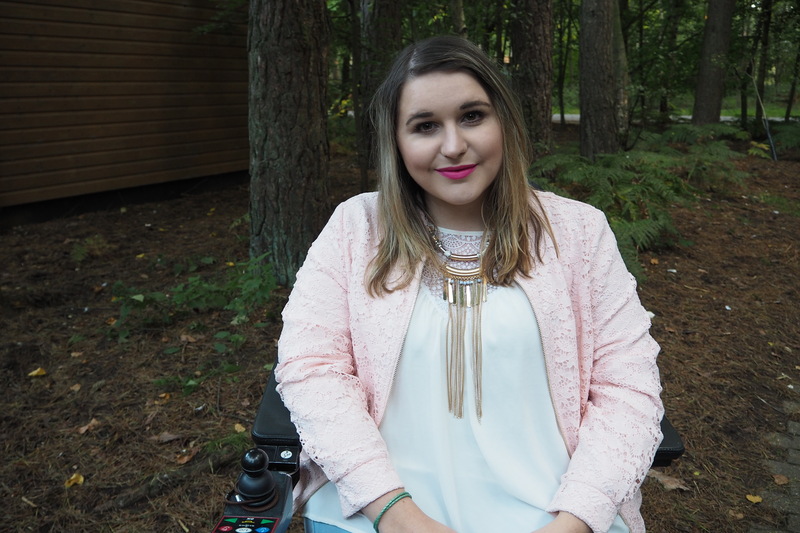 I have also reviewed Elveden Center Parcs from a disabled point of view, so if you’re looking to visit there, then keep reading! Shoes – New Look Now in the sale! I have visited most of the Center Parcs sites and Elveden overall is definitely one of the most accessible out of all of them, the roads and paths were very flat and there were barely any hills which made getting about super easy. I could get in all of the shops and restaurants as all entrances were without steps and ramped if needed. I went swimming twice while I was there and I can’t say it was a pleasant experience! Getting in was ok, the disabled changing room was small and the bed in there took up a lot of room, if you need to use a bed obviously it would be useful but there wasn’t enough room around it to manoeuvre easily. We had a very helpful member of staff find us the manual hoist and pool wheelchair but due to the lack of space in the changing room I had to get hoisted in the corridor near the lockers which wasn’t particularly nice! Once I was in the pool wheelchair, getting in the pools etc. was pretty simple; they have ramped access into the main pool (wave pool and lazy river) and the warm Jacuzzi pool. The Jacuzzi pool was my favourite as it was lovely and warm and there was seating around the edge which meant I could sit with the bubbles on my back or float in the pool in the middle. The only downside was that it was only 0.85m deep so I couldn’t have a proper swim in there! The pools at Elveden were much better than at Woburn Forest as there was more choice of where I could go and the main (wave) pool was much larger. Getting dressed was the biggest problem; I showered in the public area whilst still in the pool wheelchair which wasn’t ideal but the disabled access shower was in a room of its own and it would’ve meant moving the hoist from place to place in front of everyone showering or mingling around the locker area. We then discovered the disabled toilet was also in a separate area which was the furthest point away from the disabled changing room, so this meant me having to be half dressed and then racing back through the public showers to the disabled toilet with my carer pushing the manual hoist behind me… It was unbelievably badly designed and after doing it twice I had had enough and it meant I didn’t go swimming again to save myself both the embarrassment and the hassle. This shouldn’t be the case in 2015!!! Woburn Forest has a fantastic disabled changing room with a ceiling hoist, shower and toilet all in the one room, but as I mentioned earlier, their swimming pool situation is awful! 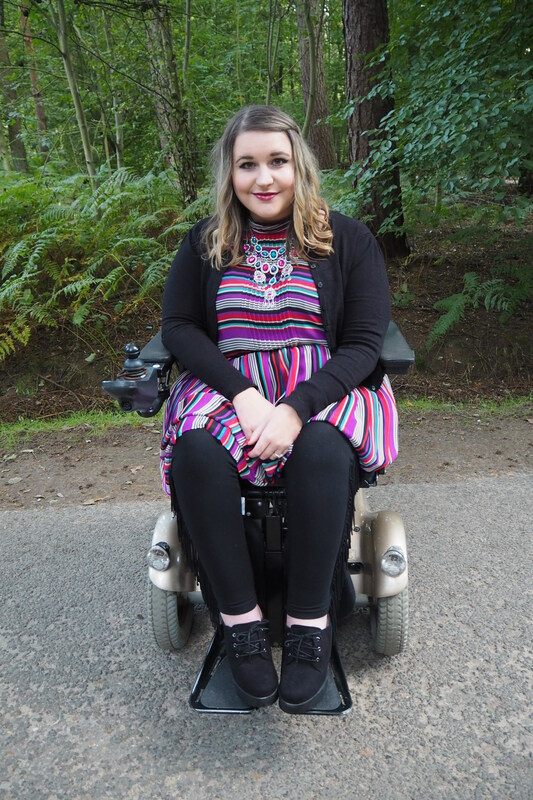 So Center Parcs really need to think about what they are doing when it concerns disabled people and their needs. Luckily our accommodation was really nice, my room had a lot of space, there was an adjustable bed and the bathroom was big with all the amenities that I would need including a shower chair and 2?! sinks!! The room was cold though, even with the heating turned up, the sheer size of the room with a small radiator and the long curtains covering it meant that it didn’t heat up very well and I had to sleep with 2 duvets! I’d say overall Elveden Center Parcs was accessible but there are certain aspects, mainly the swimming area that they seriously need to look at and re-design. For people with lesser needs, it probably wouldn’t have been as much of a nightmare as it was for me but for those of us confined to a wheelchair and have to use hoists etc. Center Parcs needs to sort it out! Let me know your thoughts on what I’ve said below! Have you ever been to Center Parcs? If you’re disabled, how did you get on with accessibility? Welcome to my new blog! I’ve been thinking about writing one for a really long time and finally I’ve got the courage to do it! 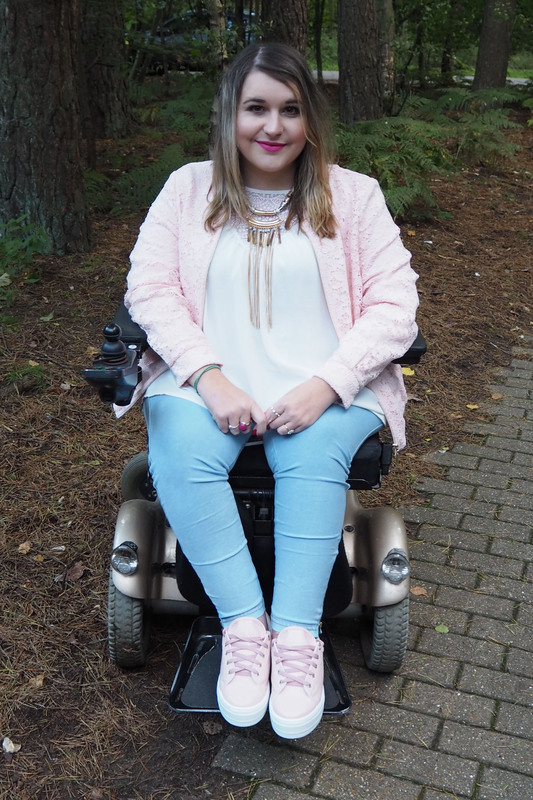 My blog will hopefully be full of lots of things you will enjoy and to start off with I have a little ‘About Me’ so you can get to know me and why I am here! FashionBelle is my blogger name as it consists of two of my favourite things; Fashion because I’m totally obsessed with shopping, trends and planning outfits and Belle because Beauty and the Beast is my favourite film of all time! 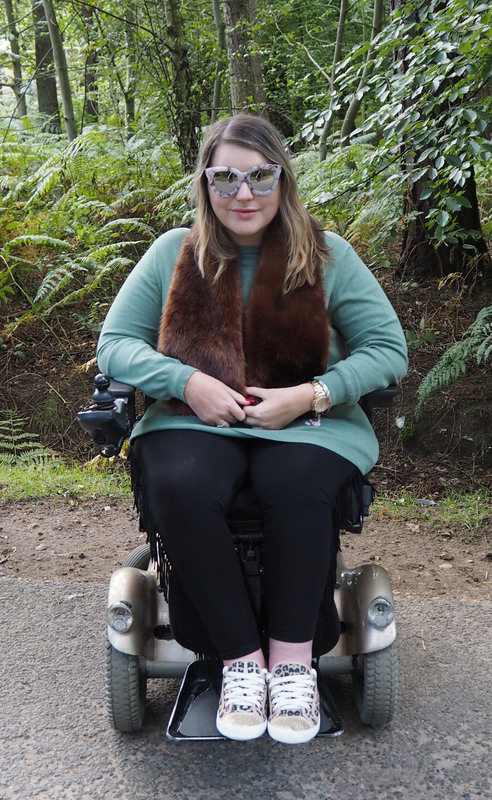 I have Spinal Muscular Atrophy type 3 which means I have muscle deterioration and it’s led to me not being able to walk at all, but that doesn’t stop me….! 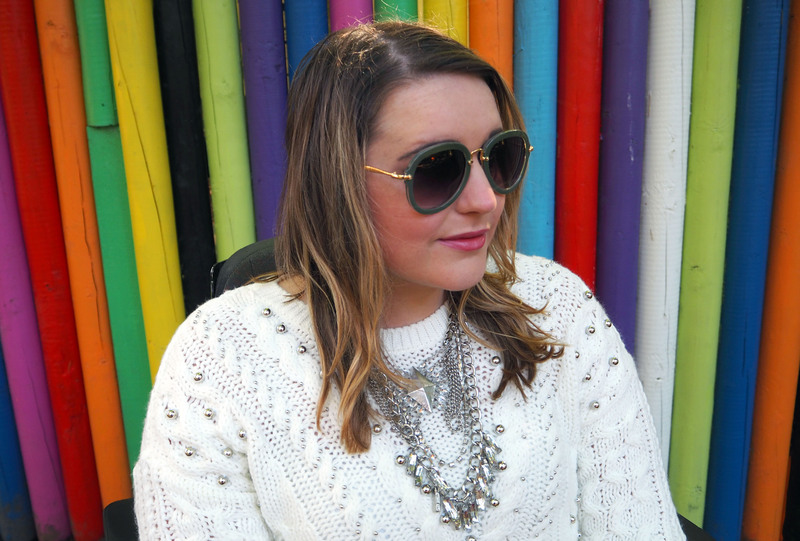 One of the main reasons I have started this blog is because of my disability. Sometimes people pre-judge you; I love dressing up, putting on make-up and making an effort (most days!) 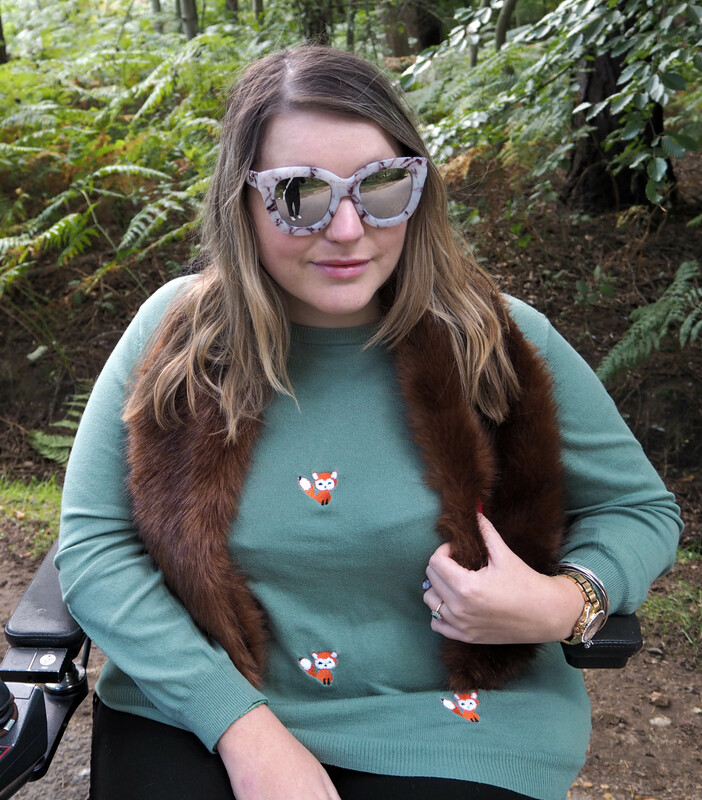 and I always get compliments from people who seem surprised that someone in a wheelchair can look stylish, so I wanted to create a blog where I can show disabled can be fabulous and hopefully inspire both disabled and able-bodied people in the process. My fashion aim in life is to walk (wheel) into Chanel, preferably on 5th Avenue in New York (one of my favourite places) and buy a 2.55 handbag! I’m currently engaged and due to get married next year yay! I work in finance as an administrator. 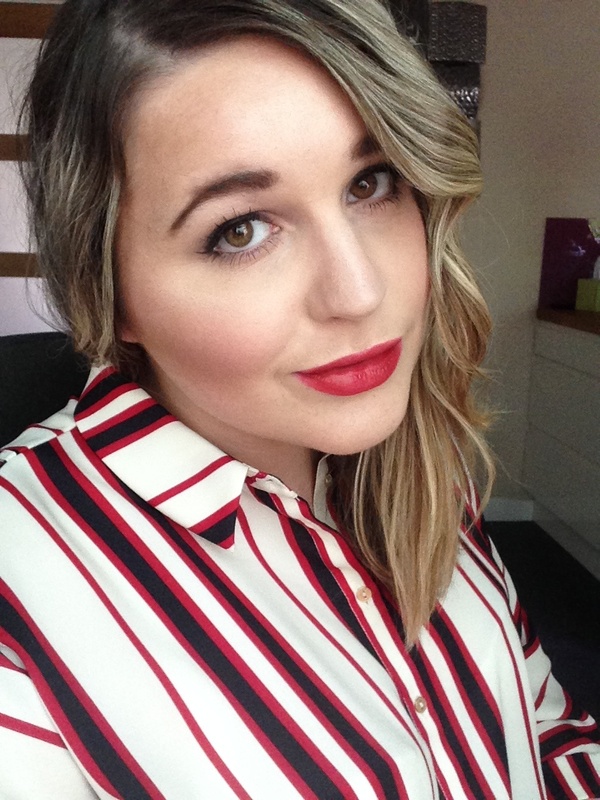 I own soooo much make-up, jewellery, bags, shoes and of course clothes… I’m Sophie and I’m addicted to shopping! 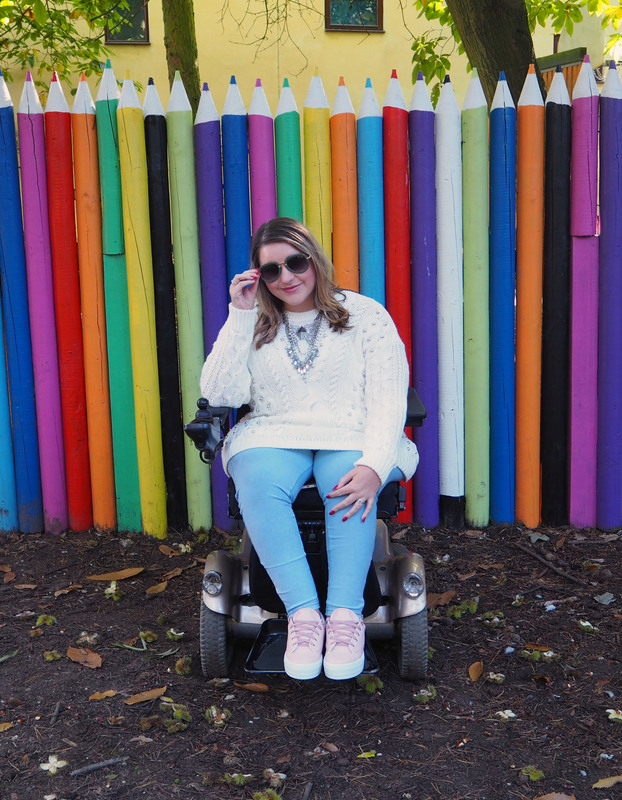 I have really admired certain bloggers and vloggers over the past few years and they have completely inspired me to finally start my own, so thank you! I hope you all enjoyed reading my first post! If you did then please subscribe; I have lots of exciting blog posts to come featuring new outfits, homeware and make-up hauls and holiday posts so please stay tuned!